St. Joseph’s/Candler Hospitals (SJ/C) in Savannah, Georgia, are two of the oldest continuously operating hospitals in the US. About 10 years ago, SJ/C had three opioid-related events with patient-controlled analgesia (PCA) with serious outcomes over a two-year period. Fortunately, none of these adverse events resulted in deaths, says Carolyn Williams, RPh, Medication Safety Specialist at SJ/C. Since using “smart” PCA pumps with integrated capnography, SJ/C has been “error-free”. 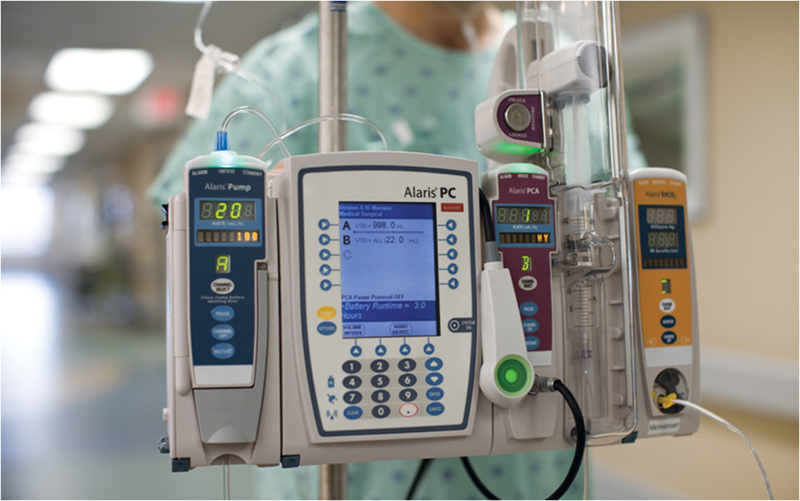 As they report in their article, “Excellent Return on Investment with Capnography Monitoring” in the recent edition of the APSF Newsletter, these changes averted 450 highest-risk IV medication errors and respiratory monitoring helped avert at least 35 PCA-related undesirable events. However, before making the decision to monitor their patients using PCA with capnography, SJ/C conducted a 6-month beta test. This beta test demonstrated the risk of the common practice of triaging patients as a way to determine who was and who was not likely to have opioid-related respiratory depression. Beta testing revealed the difficulty of predicting which patients actually were high-risk, and that capnography, not pulse oximetry, provided the first indication of opioid-related respiratory depression. As a result, the decision was made to require a capnography module for each PCA infusion and to use a pulse oximetry module for selected patients receiving PCA analgesics who have preexisting co-morbidities. At each shift, the respiratory status of PCA patients is assessed by a therapist. The assessment includes an evaluation of the recorded trend analysis of RR, EtCO2 waveforms, and any pulse oximetry results. Nurses consult respiratory therapists to assist with the assessment at any time during the shift when alarms indicate potential patient respiratory distress. Early identification of respiratory depression allows respiratory therapy to intervene before a patient’s condition becomes serious, which saves time, helps increase the likelihood of a positive outcome, and allows existing staff to oversee more patients. Our experience suggests that the use of capnography monitoring on ALL patients who receive PCA can reduce the incidence of adverse events from IV opioids in the postoperative setting.